WINCHESTER – That’s a lot of dough – cookie dough and money. 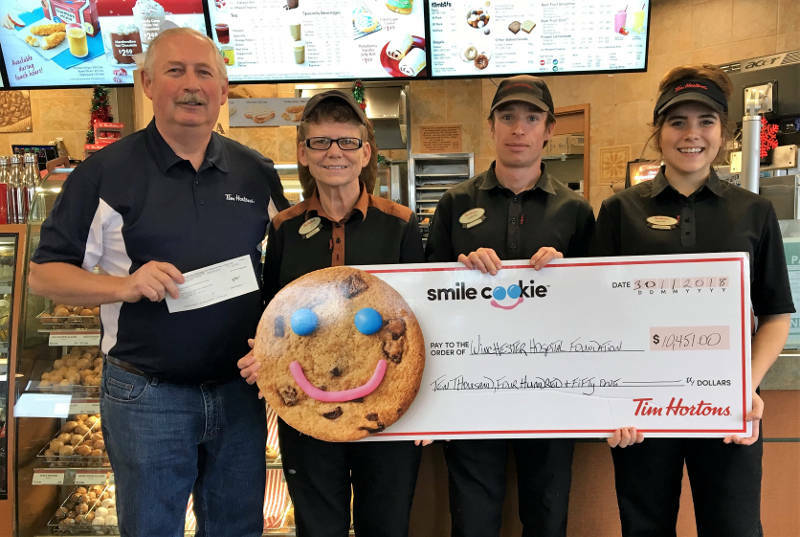 Results from the Tim Hortons Smile Cookie Campaign saw $10,451 raised from the September promotion at stores in Winchester, Long Sault and Morrisburg. Local franchisee Robert St. Denis presented a cheque to members of the Winchester District Memorial Hospital Foundation recently – complete with smiles.